About Head Start | Akron Summit Community Action, Inc.
Head Start is a federally-funded program that provides school readiness and ensures that both low-income children and parents are prepared for kindergarten and for a life filled with learning. Head Start promotes far more than a quality education. 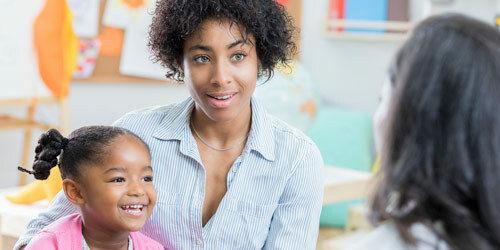 Through either direct service or referrals, Head Start children also receive numerous health services ensuring good physical, dental, nutritional and mental health. Head Start is available at no cost to pregnant moms, infants, toddlers and children up to age five from income-eligible families. Children with special needs are also welcome. Full-Day Classes - Provide services Monday through Friday various daytime class schedules to accommodate parents’ work and/or school schedules. Part-Day - Provides half-day sessions available mornings or afternoons, Tuesday through Friday for 3 1/2 hours per day. Home-based Option - Provides comprehensive in-home services for children birth to three and their parents with a minimum of two visits per month. Benefits include activities and materials to help make the home a learning environment. Provides comprehensive in-home services to support and prepare expectant moms and significant family members for the baby’s arrival. Once the baby is born, transition services for enrollment in Early Head Start center-based, Homebased, or any other early learning option is arranged.